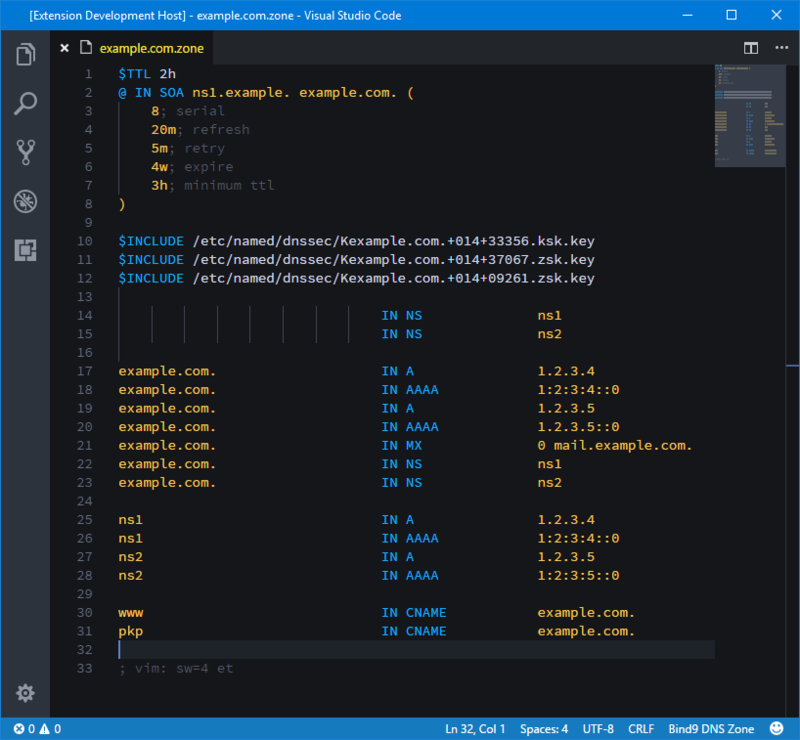 Visual Studio Code>Programming Languages>vscode-zonefileNew to Visual Studio Code? Get it now. Here's a very basic syntax highlighting package for zone files.